﻿ Basket Delight - Ohio. Find It Here. 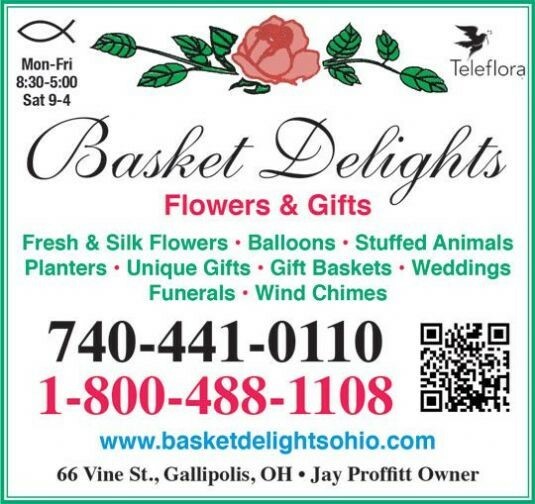 Basket Delights - The Gallipolis Florist You Can TrustAs a leading florist in Gallipolis, Basket Delights offers professional flower arrangements and gifts for any occasion. The expert florists at Basket Delights are committed to designing beautiful, quality arrangements and providing exceptional customer service to our customers. We offer reliable floral delivery throughout Gallipolis and as well as same-day delivery services for your convenience. Our dependable florist network offers flower delivery nationwide.